I have been gluten free for 13 years. Gluten free cooking has come so far since those early days. I was diagnosed just before heading off to college and I didn't have a lot of experience cooking in general let a lone invent new recipes. Lets just say I made better hockey pucks than pancakes. Fast forward to now. There are so many more options available at stores and restaurants. Eating gluten free really is so much easier than ever, so you might be able to imagine how difficult it was for me when my food sensitivities became even more severe and those new quick and convenient options were no longer my options. After a few years of symptoms and problems and working through a food elimination diet I found that grains, night shades (especially tomatoes and potatoes), dairy, legumes (beans/peas) and sugar were all problematic. You might be thinking, what on earth is left to eat, and so was I. I was so depressed and discouraged and I had two options: continuing having those negative things in my diet and feel awful, or make a change and have the hope of feeling better. 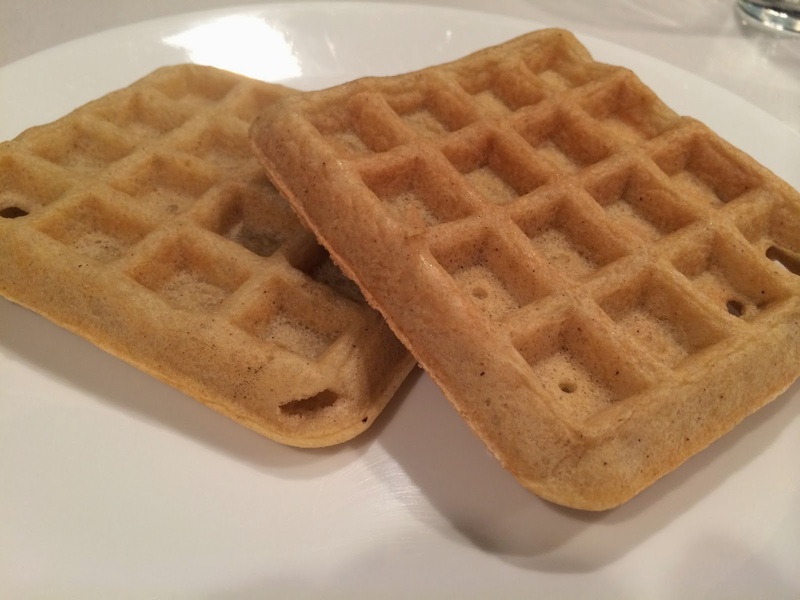 These waffles turned out amazing and it was so nice to be able to pull them out of the fridge/freezer, toast them up, and have a quick meal ready to go. These use almond flour but with the help of Arrowroot and Tapioca Starch these aren't gritty like other almond flour foods I have tried. Mix together the dry, add eggs and stir till incorporate. Slowly add 1/4c of milk at a time and work into batter. Add vanilla and stir till combined. Add additional milk if your batter is too thick. I like mine more runny, almost like pancake batter. Make sure to spray your waffle iron before scooping in your batter. 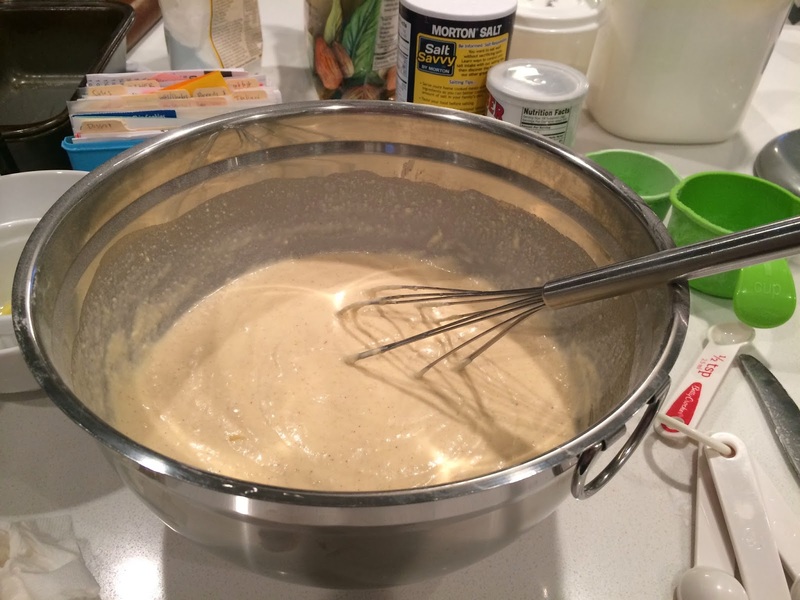 I love using a medium-large cookie scoop for my batter, so much easier. Heat till crisp and enjoy! I don't want to get my hopes up but I am excited to know that there are researchers out there making a difference for the future of those suffering from celiac. Here is a link to a recent article on CNN about the health benifits of eating gluten free even if you were tested negative for celiac. Classico has the best tasting Gluten Free Pasta and Alfredo sauces I have had. Their Roasted Red Pepper Alfredo sauce is especially good. Here is how I put it together. Heat Oil in a skillet on Medium High. Meanwhile rinse chicken and pat to dry. Salt and Pepper and place in oil, don't over crowd you want to get a nice sear and brown. Once it is browned pour 2 T of water into pan and cover immediately. Turn heat down to Medium Low and Let it steam.After about 3-5 min. uncover and remove meat to rest. Mean while add additional oil and turn heat up to Med High. Once hot add in Fajita Vegetable mix. Once vegetables are soften add peas and prosciutto and then add 2 T water. Use whisk to stir up yummy chicken bits. Then add Alfredo sauce and turn Heat to low to warm sauce. Add chicken back in and once sauce is bubbling serve over pasta. Tinkyada brand pasta is the best. This comes from a recipe in Bette Hagman's Cook Book for GF Flour. I use this flour in combination with brown rice flour and/or cornstarch for most things. I buy 25lb bags in bulk through the Good Earth and store the flours separately in 5 gal. food storage buckets. I mix the flour up in a large batch and keep a smaller tupperware bucket in my kitchen with all my other baking supplies for ease of use. I would avoid buying flours out of the bulk section since there is so much cross contamination. My brown rice flour I bought in the bulk section at the Good Earth always makes me sick so I need to give in and order a whole 25lb bag. This comes from a cook book I found at the GF Expo and love. Its called "Irresistibly Gluten Free". The waffles are divine. The flour combines cornstarch with two other flours. I highly recommend buying this book. My mom uses this one the most. I haven't really experimented with it much since the recipes I make the most call for GF flour but it is great for quick on the hand ready to go for any recipe. It may need more flour than what is called for in the recipe. Before being diagnosed with celiac I didn't have to do to much to make gravy since there are gravy packets and cream of chicken soup, but now you'll have to make it from scratch so here are my recommendations. - For making a bechamel sauce (buttter, flour, milk) I use rice flour, this makes a great soup base. If you need some tips on how to make this Alton Brown has a video of chicken curry pot pie and he makes his own cream sauce. I use the same technique and use different seasoning depending on what I am making. - For thickening gravies or sauces I mix a Tablespoon or so with a Tablespoon or more of water to make a slurry and then add it in to the sauce. You have to boil it in order to activate the thickening process so if you are thickening something with milk in it be careful because boiling can cause your milk to curdle. There is a big wide world of Gluten Free food out there. This blog was created to help you navigate through the high priced food isles to be sure you are getting taste, flavor, and satisfaction from your GF food. Living Gluten Free is easy when you know your favorites. Betty Crockers Gluten Free Mixes!!!! !